Airbnb hosts in Walton can expect to achieve a rental yield of 30.68%, compared to landlords of longer-term rentals, who can achieve a yield of 7.88%. This is a significant increase from the amount that landlords can expect with long term rentals: the highest long-term rental yield in Liverpool and Manchester can be found in Fairfield, Liverpool at 12.52%. The Airbnb yield is based on an occupancy rate of 60% of the year, which is typical for these types of properties due to seasonal demand*. Rachel Dickman, Regional Manager, Portico Host, said: “Perhaps it isn’t surprising that the properties achieving the greatest returns are those that are situated in areas surrounding city centres. These places typically have excellent transport links, proximity to popular tourist attractions, employment hubs, and good restaurants and cafes. Liverpool is undergoing a £14 billion regeneration, with plans for a new stadium for Everton football club and £250 million investment in road infrastructure. The strengthening of its economy and infrastructure, along with its growing student and young professional population, and lower property prices, make investment in places such as Walton, Kensington, Fairfield and Anfield popular choices for investors. The same can be said for Manchester, which has one of the fastest growing populations outside of London, and alongside Liverpool has seen a huge influx in tourists and visitors, as improved transport links have made it easier to visit. Hulme has seen more than £400 million worth of investment into regenerating the area. Its array of diverse eateries, bars and shops has made it very popular with young professionals and it is just a few minutes walk from Manchester city centre. Whilst Ancoats was named the 13th coolest neighbourhood in the world in 2018 by Time Out. It is a 10-minute walk from Piccadilly and boasts affordable co-working spaces, apartments with riverside views, craft beer outlets and artisan bakeries. It is expected that house prices and rents for longer term rental properties, will increase by circa 3% per annum over the next 5 years in Manchester, as demand for homes continues to outstrip supply. In Liverpool, the growth in house prices is expected to be 2% per annum over the next five years, and 3% for rents. 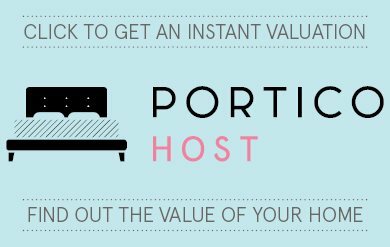 To find out how much your property can achieve from short term letting, use our Instant Valuation Tool or give us a call on 0207 099 4000. We have a spot at the !!! !Landlord Investment Show on the 21st of March, we will be talking about strategies to get the best yields and investing in the North West. Click here to read more and get your free tickets.